Smokin Rack Products is proud to introduce it’s new Universal Mounting Bracket for the Flex Cam. 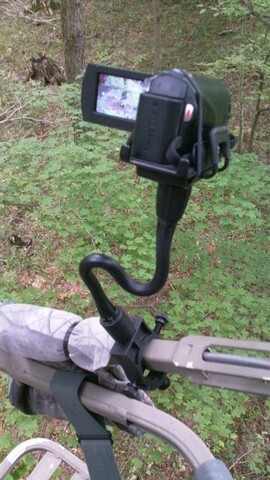 The bracket allows the Flex Cam to be mounted on a variety of objects, including small trees and branches, on treestands, ATV and motorcycle handlebars… just about anything under 1 1/2 inches in diameter. This will make it even easier for Flex Cam users to capture great hunting action on video by allowing them to mount their smartphone or compact camcorder in more places than ever before. To see the new bracket in action, check out the Flex Cam product page.